My current favorite cheese ever? Bellavitano Merlot! Every year for Thanksgiving we have a cheese tray. There are a few family favorites that we absolutely *must* have every year but then I like to mix it up a little by adding new and different cheeses we've never had before. For about 3 years I've tried various merlot cheeses from all over the world, but never found any I loved enough to make a point to search that particular brand out again. Until this year. I have a clear winner... so much so that after I tasted it, I dug the wrapper out of the trash, carefully washed it out with soap and water and saved the label so I wouldn't forget to pick up more for our Christmas holiday! What was this cheese I loved so much? And was it from France? England? Italy? No.... Wisconsin, USA! It's Bellavitano Merlot Wisconsin cheese and it's incredible. Created by the master cheesemakers at Sartori using time-honored techniques and the highest quality milk, Bellavitano features a rich and creamy texture with a great, cravable taste reminiscent of an aged, premium Cheddar balanced by a full flavored Parmesan. Bellavitano offers a versatile flavor with excellent melting characteristics and a smooth, creamy mouthfeel. This Bellavitano is then soaked in merlot to give it extra tang and full merlot flavor. In my own words; It's a semi hard cheese with a hint of Parmesan, but only just. It's a nice firm, but crumbly texture that starts to melt when it hits your tongue. The Merlot the rind is soaked in has great flavor, not overbearing or too bitter. It just has the slightest hint of berries but it's paired perfectly with the flavor of the cheese that neither fight for your attention. I'm loving this cheese right now and so very glad I can find it locally here in our new city and state! But for those of you who can't, I've included the link above that takes you right to a place you can purchase it from on Amazon. Enjoy! The roasted turkey on Thanksgiving afternoon smelled and tasted delicious. Leftovers that evening and even yesterday were quite good! But today, the second day of reheated turkey, a dab of potatoes and a little gravy doesn't sound appetizing. In our home, today is the day I freeze what is left over. Two weeks from now I'll make ours into a warm, comforting Turkey Pot Pie with a homemade crust that we just love on a chilly winter evening. For those of you who don't want to put your leftover turkey in the freezer for a later date, here are some sandwich ideas to use it up. Now, if you ask my Dad, he'll tell you the best sandwich is also the simplest. Use a split dinner roll, butter both sides, add some sliced leftover turkey pieces, sprinkle with a bit of salt and squish it together before biting. For those of you who want a little more to your leftover turkey sandwich, here are a few ideas. My memory of this 'sandwich' is that when my mother, my grandmother and I would stop at a little cafe' restaurant in the small town where she used to live, she would order this from the menu. Place bread on a plate. Top with hot mashed potatoes, turkey and gravy. Serve! Brush the outside of the flour tortillas with butter or oil. Place a tortilla, butter side down in a medium hot pan (or use a George Foreman Grill) and top with cheese and turkey. Place a second tortilla on top, butter side out. When golden brown and the cheese is melting, flip it quickly and carefully. (Not necessary to flip if you are using the George Foreman Grill). In America: The Day Before Thanksgiving... Preparation! It's the day before Thanksgiving in America and many people are in the kitchen doing some of the prep work and/or baking to prepare for a day of blessings and thankfulness tomorrow; shared with their friends and family. This year is a very strange, odd and rather sad year for me in that it's just the three of us. Our recent move to Alabama places us 1000 miles from not only extended family, but two of our own kids as well! Even though we are paring the size of the turkey down to accommodate fewer eaters, the traditional foods and fare will be on our menu. This year I'm mixing it up a little by changing the apple pie to 'cranberry apple' with a layer of delicious and brightly colored cranberries on the bottom and therefore incorporating this traditional side dish into a fabulous dessert. This weekend my daughter and I were shopping for dishes for the new house when I got sidetracked in a kitcheny store and couldn't help myself; I bought a few little trinkets including an adorable itty bitty mini donut pan. Last night in between caulking the master bath and sealing the grout I decided to bake mini donuts with the new pan and see what I thought. When you purchase specialty pans they almost always come with a stock recipe printed on the packaging. My pans for Madeleine's, Cream Horns and other little desserts and cookies all come with them but I've rarely (if ever?) found that they were good recipes. Still, I believe in giving them a chance so last night I followed the recipe on the package with one exception; I added a 1/2 t of vanilla to the batter and when I found it was too thick to pour into the pan, I added an additional 1/2 cup of milk. In the end I found this recipe from the package to be ok but not fabulous. When my husband and daughter got home last night, my description to them, which I think is fitting is; If the 'cuteness' factor is more important than taste, then this is a fine recipe to use. For small children, parties where there are a lot of other foods and venues where presentation is more important than someone eating just one and savoring it, this would work fine and is simple. But if I am serving just these mini donuts and I want the 'wow' factor to be the flavor and texture of the donut, I would probably use a traditional fried cake donut instead of baked. Preheat oven to 425 degrees. Spray your pan very lightly with nonstick spray. In a mixing bowl, whisk together the dry ingredients; flour, sugar, baking powder, nutmeg and salt. Add the buttermilk, vanilla, egg and melted butter. Stir just until combined. For ease of filling the molds, you can place the batter into a ziploc baggy and snip the end or just spoon the batter into the cups about 1/2 full. Bake 4-6 minutes until the tops spring back when touched. Let cool in pan for 3-4 minutes and then remove to cool complete. Frost as you wish with a simple glaze and sprinkles. (Glaze can be made with 1 cup powdered sugar, 1 T milk and 1/4 t vanilla or almond extract). 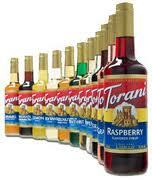 WIN A BOTTLE OF TORANI FLAVORED SYRUP! Contest is now closed! Winners have been contacted. Thanks so much! 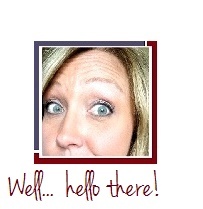 Hello An American Housewife Readers! I have a yummy contest for you! This week I enjoyed a free bottle of Brown Sugar Cinnamon Syrup compliments of SheSpeaks.com and Torani Flavored Syrups. While great in coffee, I personally love it even better in cooking. From desserts to fruits, flavored soda's to oatmeal. Have fun finding new ways to use it. You can order from the vast choices online at Torani.com with a special code to save 10% (use offer code "shespeaks") but I've also got a bottle (free coupon) to give out to one lucky Housewifebarbie.com reader for free! A splash of syrup and a dash of milk for an amazing coffeehouse style drink or perhaps an Italian Soda? The choice is yours. Comment below with your favorite flavor (make sure your email is linked to your user name or you leave it for me, or else I won't be able to get a hold of you!). I will draw one random winning email/name next Monday, November 21, 2011 at 12:noon. If you prefer to email me your comment and name (and not post it on the website) you can do that too. All entries will be created equal. A chilly Autumn morning, fresh coffee and... coffee cake. This is a recipe I found years ago for a coffee cake but I made it into a loaf bread which was similar to the flavor and texture of Entenmann's. I love to serve this bread to family and friends because not only is it awesome, but if I don't? I'll eat the whole loaf myself within two days! The batter will be thick, spoon and spread this into a greased and floured pan (I use a little of the reserved flour topping mix to flour the pan). Mix this together with your finger tips until it forms pea sized crumbles. Cover the entire coffee cake with this topping. If you chose to use a cake pan you'll use all the topping, a loaf pan like I do, you will only use half the topping. Freeze the rest in a baggy to use on muffins at a later date! Bake at 350 degrees at least 60 minutes until a sharp knife inserted into the center comes out clean.. In my oven it takes about 1 hour and 15 minutes. I admit... I've been busy. I've been steer heading the relocation of our family 1000 miles across the country from home to home and life hasn't slowed down to allow me to sufficiently concentrate on my freelance writing nor my blogs. We also just hosted guests (my parents) when we aren't even living in our new home yet! We didn't have appliances, mattresses nor beds so we are actually sleeping and eating in the temporary apartment while cleaning, unpacking and working on the house during the day. On top of everything else however, I'm reminded that Thanksgiving and Christmas are right around the corner. Yikes! 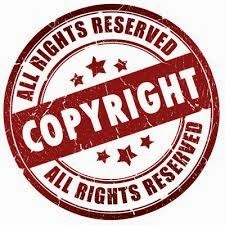 This morning I was updating some information online when I clicked on one of the companies I write for on another website of mine, and an offer for my readers caught my eye... but not for my readers. For me! I saw it was an offer to create and print a family cookbook for $39.00. Every time I see my parents it seems like I'm handwriting one of my favorite recipes for my mother to take home with her. This weekend it was my blueberry bread recipe. What a great gift idea... a cookbook printed with all the recipes my parents rave about when they visit me and ask me to write out or print out for them. I haven't had time to click on it and read through all the details yet and I can't even do so right now as I've got to leave to get my daughter from school but it's here for my own use (and yours) later when I'm in a 'Christmas gift' frame of mind and can settle down with a cup of coffee and check out the details. If I find it's something I don't think is a good fit I will come back and remove this post. If any of my readers have already done this please feel free to comment below and let me know what you thought! Although we relocated 1000 miles away from 'home' last week, we signed the paperwork to purchase the new home and I've spent hours cleaning, scrubbing, unpacking and repairing.... we are not yet actually living in the house. It's still a rather nomadic lifestyle as the new home is still sans beds, mattresses, dishes, washer, dryer or even a refrigerator. I drive to the house each morning and spend the day there but we are still returning to the apartment to sleep each night. Because our lives have been in such turmoil over the past couple weeks, the fact that Thanksgiving is literally just around the corner has not been first and foremost in my mind. And Christmas? Gah. I didn't give a hint of a thought to that until my oldest daughter texted me to ask what I was getting her sister so we didn't double up. Christmas? Gifts? I've not even thought about it much less bought anything! Now that I've been made aware that Thanksgiving is almost upon us, it's time for me to try to gear up for our traditional Thanksgiving dinner in between unpacking a kazillion moving boxes, accepting delivery of our refrigerator and other appliances and trying to learn a brand new oven and microwave (this oven has convection capabilities, which I've never used before). One baby step that will not only help me, but help my readers is my all-time favorite and perfect gravy recipe. One I've used for twenty years and will probably use for twenty more as it's not only that delicious, but it's easy, makes perfect gravy each time and can be made a week ahead of Thanksgiving or Christmas and then reheated the day of - without lumps, gelling or odd textures! 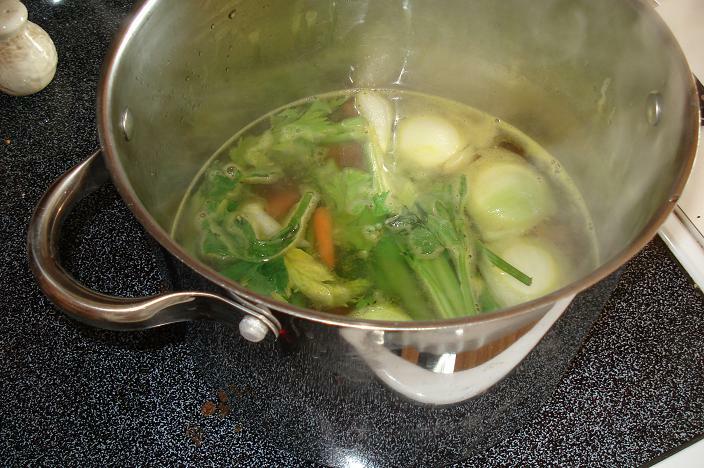 Mix the first 5 ingredients (broth and vegetables) in a soup pan and simmer on low 1 1/2 hours. Strain through a wire strainer and disgard vegetables. Add water if needed to make it 6 cups total. Mash the 6 tablespoons butter with the flour until it's a paste and break into 4 chunks. Bring the 6 c broth to a boil. Reduce heat to low and gradually whisk in flour chunks one at a time, whisking each until thick and smooth. Boil 3 minutes. Remove from heat. If you will be using it within 2 days; cover surface with plastic wrap and refrigerate until needed. If you won't be using it for a few days more, be sure it's in an airtight container in the coldest part of the fridge. Greatest of all? You can also freeze it at this stage until needed and slowly reheat to thaw before continuing. When you make your gravy; Reheat your gravy base that you've already made and after your turkey is done, add the pan drippings - at least 3/4 of a cup of pan drippings (up to but not more than 2 cups) heat until hot and serve! It's THAT TIME OF YEAR AGAIN! Time for my annual Mini Thanksgiving Dinner Cupcakes! I've just arrived for another day of unpacking and cleaning at the new house. But first I wanted to brew a fresh pot of coffee, sit down and enjoy the kitchen for a moment before I drag out yet another moving box and fill my counters with packing papers and 'mystery' items as the movers seem to have taken great joy in packing random items together; for example I have 2 boxes in front of me right now that read "Clothes and Xmas Items". Really? Those don't even go together. And to top it off they are in a box marked "Garage". Spare time is not something I have right now as we are chest high in moving boxes. But it's time I re-post an annual favorite anyway! Our families traditional Mini Thanksgiving Dinner Cupcakes! Thanks to my website, I've shared this 'recipe' many times and I'm happy to report that I now have many, many bloggers and friends and readers that make these (or similar using the products they can find in their own grocery stores) every year for their families. What a great tradition! Are you ready to start??? Bake and cool your favorite cupcake recipe. Frost each cupcake with white or tinted frosting of your choice and top each with a cookie while the frosting is soft to 'adhere' the cookie-plate to the cupcake. Carefully frost a circle on each cookie to be your plate. Be sure not to frost more than 2 or 3 'plates' at a time as you want the frosting to be soft enough to press the candy 'food' into. Slice the maple nut candies thin and place them on the cookie plate to be 'turkey'. Dab some white frosting next to it for 'mashed potatoes' followed with a little dab of yellow gel food color as 'butter'. Add the 'cranberries' (red colored sugar or non-perils) and little green 'peas' or 'beans'. Melt your butterscotch or chocolate chips and thin with a little vegetable oil. Drizzle over the 'turkey' as gravy. These are always a huge hit no matter where I've taken them; family functions, school parties or the work office. Enjoy! This is my post for Fried Chicken that I first shared with you in 2008. It's "MOVING WEEK" for me and I'm snowed under with boxes, utility installation, packing paper and a counter full of 'stuff' that has no home in our new house. My time is short, but in honor of my relocation to the South I give you; Fried Chicken! Soak the chicken pieces in salt water for 15 minutes. Drain. Mix the seasonings with the flour - you really only need salt, pepper and flour, but can add a few other spices too. Just don't get too heavy handed with them. 1/4 teaspoon is a good starting point for adding extra's and increasing from there. Coat the chicken and let it set for about 15-30 minutes if you have time. This helps the coating stay on through frying. Heat about 1 1/2 cups oil or shortening in a pan over medium high. It's important the oil is not too hot! This is one of the mistakes I made through the first few years of our marriage. Every time I tried to make fried chicken it would be golden brown on the outside and un-cooked on the inside. The trick is to have the oil be hot enough to sizzle a bit when the chicken is lowered into the pan, but not enough for the oil to splatter and jump all over the place. If it's too hot remove the pan from the heat, let it cool down a bit and then add your chicken. Cook half the time, turn, cook the other half. Turning again if necessary. The chicken will take about 20-30 minutes to cook completely. It should be golden brown and done all the way through. Drain for a few minutes and serve. Ready to go into the oven~ Southern Biscuits! into my biscuits. I love them flavored this way with gravy! recipe using self rising flour, shortening and buttermilk. The chicken floured and setting for a bit. but here it is frying in the pan... yum!